A truly stunning couture gown in absolutely perfect condition. 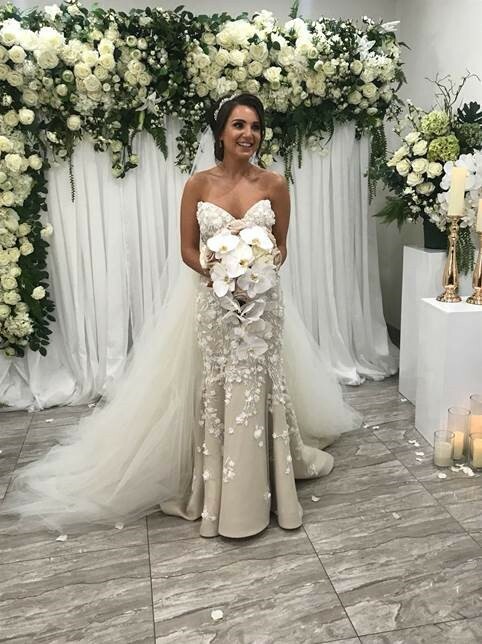 Purchased in July 2018 from Personalized Weddings Couture in Earlwood, Sydney. This gown was custom designed for me. It is a simple, yet elegant timeless gown with premium fabrics and French lace. No damage - as new! Happy to discuss & negotiate. Once you send a message, Renee can invite you to purchase the dress.